Influencer marketing is quickly becoming a recognized standard for marketing strategies everywhere. So for businesses looking to utilize this new technique, how do you get started? Marketing in any form is no less than magic and everything about it used to be magical. Those were the times when the suppliers were few and far and the competition was tough. Sourcing a product and finding the right kind of supplier for your product was almost half the job and the other half was marketing and using the right kind of themes for your ecommerce website. With the global retail trend shifting, the suppliers are readily available and the production has never been so simple and cheap. With the global ecommerce sales booming by the year and the competition between the marketers and brands becoming tougher by the day, customers are taking extra measures to avoid being marketed to. With ad-blockers and opting out of receiving paid advertisement on various platforms, customers are slowly and gradually losing trust. According to a survey done by Forbes, when it comes to the millennial consumers, only 1% of them trust advertisements. Whereas, a whopping 33% trust blog reviews for their purchases. 40% of the people in the Forbes survey reported having made a purchase after seeing it being used by an influencer on YouTube, Instagram or Twitter. 71% of the influencers are of the opinion that it is their honest and authentic voice that connects them to their audience. A survey done by Tomoson revealed that influencer marketing yields a return of $6.5 on every dollar spent. There are multiple avenues that you can explore while creating a successful influencer marketing strategy. Here we’ll discuss how to build your influencer strategy and then talk about different ways you can implement it. You can measure brand awareness on social media by the number of followers, likes, hashtags and comments. Influencers can create a buzz and generate traffic for your business. This can be a little trickier and involves setting up tracking links for each influencer to measure ROI. Compare your results from your influencer marketing campaigns versus the other forms of marketing you use and see for yourself how the return on investment compares. Testing influencer marketing with a small budget is a good way to determine whether you should be investing more of your budget in this marketing technique. Which influencer is right for you? Micro influencers are on the rise. With the changing algorithms of the social media platforms like Facebook and Instagram, it is no secret that the larger the account, the lesser the ratio of engagement. Previously, influencers weren’t fairly compensated for the campaigns they did. As influencers become more sought after, this will definitely change. 48% of marketers and brands are said to have increased their influencer budgets in 2018 and so it’s crucial that a fair compensation is agreed with the influencer depending on the terms, project scope and length of the agreement. Some influencers are perfectly happy to receive gifts or product testers while others have set or on-going monthly fees. Some influencers are also willing to work as an affiliate, instead receiving commissions for the products that are sold through their referrals. Now let’s talk with examples on how you can actually use influencers within different strategies. If you manage to find an influencer that loves your product or service, you’ve hit the jackpot! They’re already familiar with your brand and how it works, and this will make it much easier to work with them. In other words, they are already invested in your brand and all you have to do is leverage their interest in you. 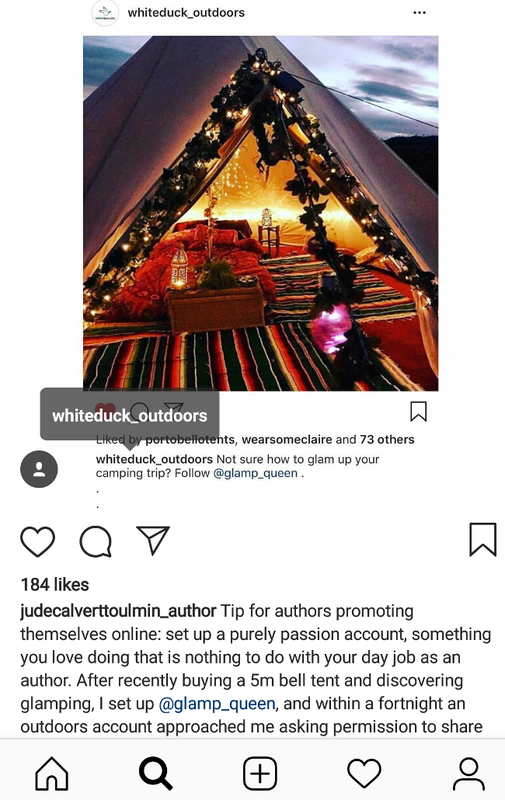 For example, White Duck Outdoors found the Instagram account of a travel enthusiast @glamp_queen and they reposted her photos where she features their tents. A study from Tabular Insights found that 64% of customers made a purchase after watching product-related social content. Another study from Google found that 64% of those who shop for electronics rely on YouTube reviews to make a purchase. For example, this unboxing video of the Samsung Galaxy S9 by the famous YouTube influencer, Unbox Therapy, garnered over 5 million views. This is the kind of traction that a brand needs while introducing a new product. Another surefire way to get consumers to build trust is through testimonial posts. People trust the influencers they follow and if they see them using the product themselves, they are more likely to enquire about them. Product testimonials don’t have be nice words, but can be a simple picture with the relevant brand tagged. A great example of this was implemented by Kaleigh Sharee. Kayleigh shared a beautiful picture of a heartwarming moment of her life wearing a Sophie and Trey dress. As you can see in the picture below, there’s a direct enquiry in the comments about the dress that she was wearing and you can see her engaging with the person who asked the question. To further leverage this, the brand shared this picture on their Instagram. This adds to the authenticity of the brand and helps them to connect with their consumers..
Retail and fashion brands are often in love with this strategy and provide custom discount codes to influencers for their followers. As a business, you can ask the influencers to feature your product in their content and give the viewers a discount code that they can use. A great example of this would be Meredith Foster posting a flat 50% off discount code for her followers. With a promo code like this, the influencers are able to give something back to their fans and followers. A successful influencer marketing strategy is not an easy task. But if done the right way, it can bring huge value and user-generated content to your business. However, remember to constantly communicate with your influencers and develop a relationship with them for your strategy to work; discuss the details and KPIs of each campaign in advance to avoid any misunderstandings and be sure to fairly compensate them for their work. Author: Jenny Harrison is a passionate marketing and business blogger. She loves to engage with readers who are seeking B2B and B2C marketing information. She is a featured blogger on various high authority blogs and magazines where she shares her research and experience. She is currently associated with an Orlando based SEO Company called PNC Digital.